Congrats to your son or daughter on their college acceptance. Now that April 1 has come and gone, the future class of 2022 has likely found out where they could be going to college in the fall. They’ve also likely found out what kind of financial assistance they might be receiving, in the form of a financial aid letter. It should have arrived with those aforementioned college acceptances. 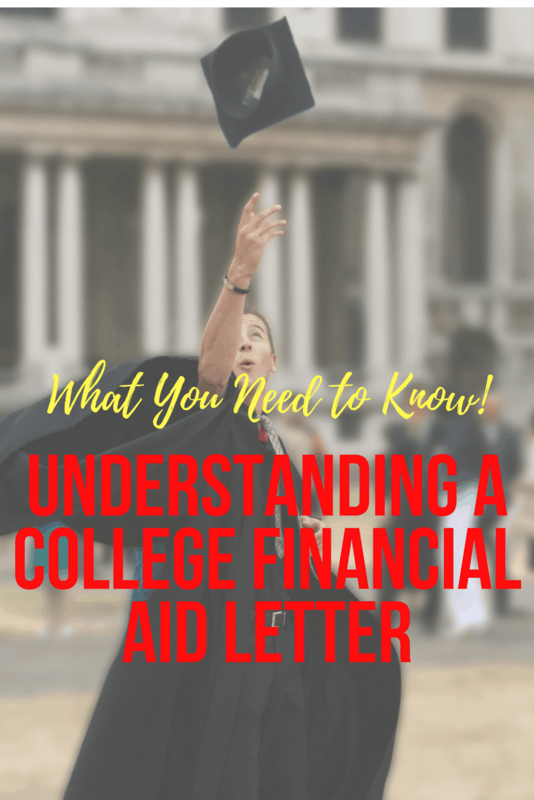 I know that those financial aid letters can be hard to read and fully understand. That was how we felt this time a few years ago. It was when our youngest daughter had received financial aid offers from each of the schools that had accepted her. Some of these financial aid letters included offers that were quite generous. One college, in essence, offered our daughter Annie a 60 percent discount through a merit scholarship. With another daughter already in college, that number made our heart leap—that is, until we read the fine print. Sure, this scholarship was a merit scholarship, due to Annie’s great grades and test scores. However, it came with a merit caveat. In order for Annie to keep that scholarship all four years, she needed to maintain a 3.8 GPA each year. While we don’t doubt our daughter’s academic abilities, we also didn’t think this benchmark was reasonable. As Annie was making her decision, we suggested she think of this 60 percent off scholarship as a one-year deal. As such it shouldn’t sway her decision to attend this college. In the end it did—but in the other direction. She chose to attend a college that didn’t offer as generous a financial aid package. However, the help she received came with no strings attached. 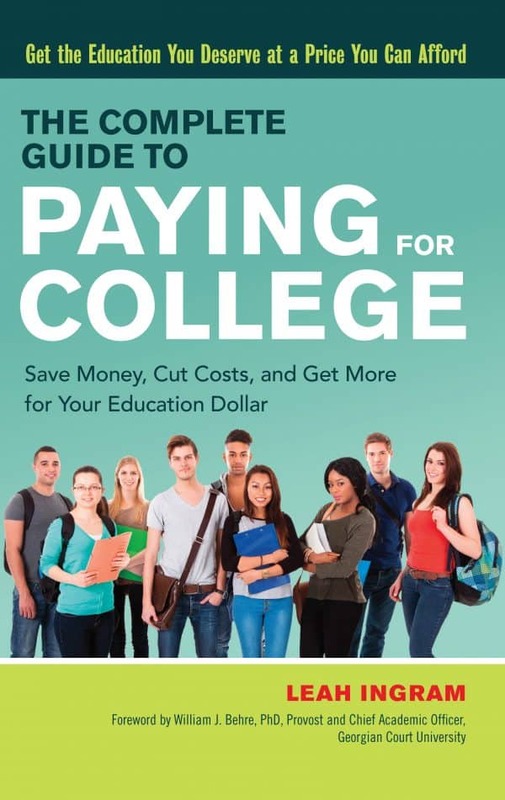 Have you checked out my new book The Complete Guide to Paying for College? The reason I’m sharing this anecdote about how to understand a financial letter now is this: millions of high school seniors–and, let’s be honest–their parents–need to decide by May 1 where they are going to attend college in the fall. That means that millions of parents and students are weighing financial aid offers, all of which is likely to affect their decision. Because I’m all about getting the biggest bang for your buck—especially when it comes to college tuition—I’ve put together seven tips for reading financial aid offers. This tips tell you what you need to know to understand a financial letter and what it is really saying or offering. I believe this will be required reading for any family sending a student into the world of higher education. Every family, regardless of household income, should complete the FAFSA, which stands for Free Application for Federal Student Aid, and the CSS Profile. You must complete the FAFSA if your student plans to take out federal loans to help pay for college. The CSS Profile is the private college and university version of the FAFSA. You must complete the CSS Profile in addition to the FAFSA in order to receive financial aid at certain colleges. The deadlines for both was this past fall. If you never filed for either, there is a good chance your student did not receive a financial aid letter, sorry to say, along with their acceptance letter. The only exception to this is if a college offered your student a merit scholarship. It is only need-based financial aid that requires you to fill out that FAFSA or CSS Profile. Based on your FAFSA the “Expected Family Contribution” (EFC) is the amount that the college believes you can afford to pay. Note: what the college says you can afford and what your bank account tells you that you can afford are often very different. As parents with two children in college, it’s very frustrating to learn that colleges believe my husband and I can afford to pay more than my entire annual salary to cover tuition. College financial aid offices use this EFC when determining the financial aid they offer you, which may or may not give you as much money as you believe you deserve. 3. Loans, Grants and Work Study! 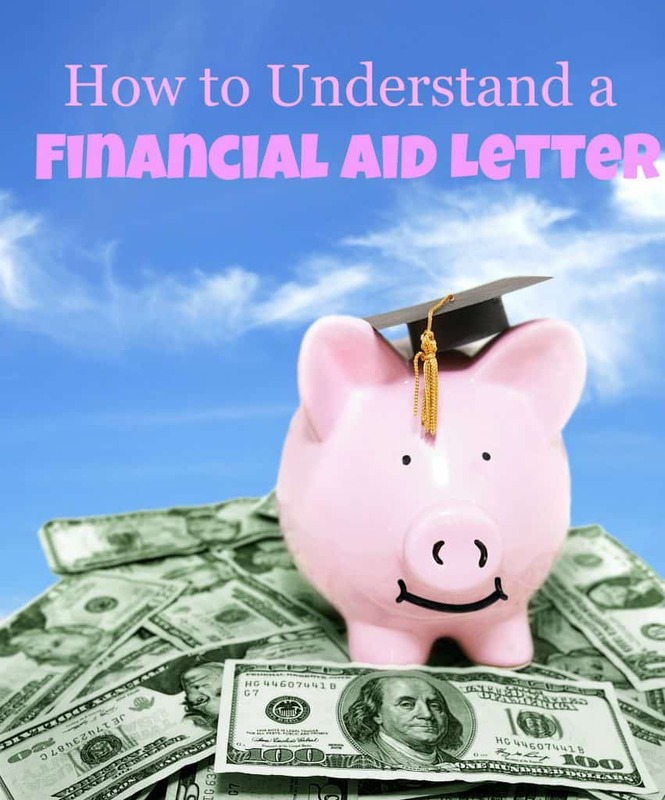 When it comes to the financial aid letter, you may notice a number of items listed. There are likely to be loans—both federal and private—grants or scholarships, and work-study programs. When added up, all these elements may look like a big number for a fat financial aid package. But don’t get excited yet. If you read closer, you’ll notice that often this is not what the college is actually offering to give your student, but rather suggesting she get on her own. For example, when my older daughter Jane received her financial aid offer from her college before her freshman year, it included about $5,000 in work study, but that did not come with a guarantee that she could get a work-study job. While she didn’t end up getting a work-study job, she did find a part-time job but it only pays about $2,000 per year. On the other hand, Jane had no problem qualifying for the federal loan the college financial aid letter suggested. Then it was up to my husband and me to make up the difference. $1 Offer 7 Days of Free TransUnion Credit Monitoring. When it comes to grants and scholarships, what you need to understand is that these do not need to be paid back. 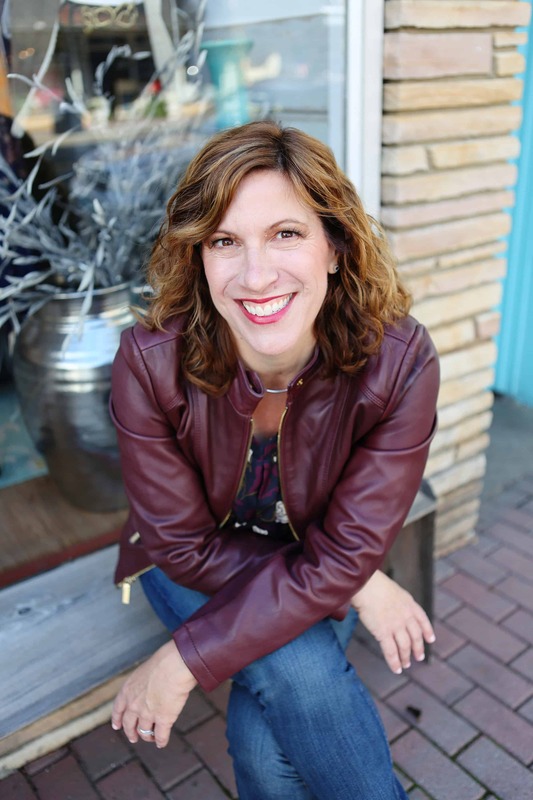 However, many may come with an academic eligibility requirement, much like the offer Annie received that required her to maintain a 3.8 to keep her scholarship. If your child has received a grant or scholarship offer, make sure you read closely to determine if there is an eligibility clause. You also want to confirm if the grant or scholarship is for all four years. Many will roll over from freshman to sophomore, sophomore to junior year and junior year to senior year. But not all do. If you have any questions at all, pick up the phone and call the college’s financial aid office for answers. Even if your family is like mine, with parents committed to paying for college (not all families take this approach), colleges expect students to work, which is both a good thing and bad thing. It’s a good thing, because students should work and learn basic money and time management. It’s a bad thing, because your financial aid letter may include the expected student contribution from summer jobs or, like in Jane’s case, a work-study gig that never materialized. This student contribution might be a figure that is simply unreasonable for a student to earn over the summer. Either way we want our daughters to have skin in the game. So we asked them to take federal loans each year. Also, we ask them to use their summer earnings to cover their books. We also expect them to cover other miscellaneous expenses throughout the year. When a college provides its cost of attendance, it often includes the cost for books, lab fees and other student services. The good news here is you can often find ways to reduce that number, which can free up cash in your budget. Let’s take textbooks first. You probably know they’re not cheap. Well, to save money, both of my daughters invested in Amazon Student Prime accounts to help them get their books on the cheap and fast—free two-day shipping for students. They’ve learned to rent books, which are cheaper than buying, or purchase the e-version of textbooks—also cheaper. All schools want to ensure their students are insured. They usually include the cost of health insurance in that cost of attendance. However, if you have health insurance, you can usually knock at least $1,000 off the bill. Just have your student provide proof of coverage (i.e. a copy of her insurance card). Also, if your child isn’t taking any lab classes, you can usually negotiate that fee off the bill, too. My daughters are two years apart so we knew that their college time would overlap. Also, once both were in college, we hoped our chances of getting financial aid would increase. That was true with Jane’s college—Jane’s annual grant increased from $3,000 to $17,000 once Annie enrolled in college. Each college required our other daughter’s school to fill out paperwork and confirm the cost of attendance. So if you will have children overlapping in college, understand that you may need to fill out additional paperwork with the financial aid office. At the same time, if the financial aid letter you received does not seem to acknowledge this additional financial hardship of having a second or more child in college, call and point this out. It may not change the offer but it never hurts to ask. If your children are attending the same school, find out if there is a sibling discount. Even with all of these details explained, it’s important to understand something about college financial aid. Every year you have a child in college, you will have to reapply for financial aid. You will do this via the college’s own financial aid application (you can find it online). You’ll also need to complete that FAFSA. If your child is attending a private college or university, you need to fill out the CSS Profile. Every. Single. Year. You’ll also need to send the college your and your child’s federal tax returns each year as well. Don’t let this annual requirement slip through the cracks or you could get stuck with 100 percent of the tuition bill the next academic year. Interestingly, when our younger daughter got to college, she made Dean’s List first semester. Then made it again and again. Because of that, she ended up getting more scholarships. So you can never tell from an initial financial aid letter how much money you may end up getting from a college.